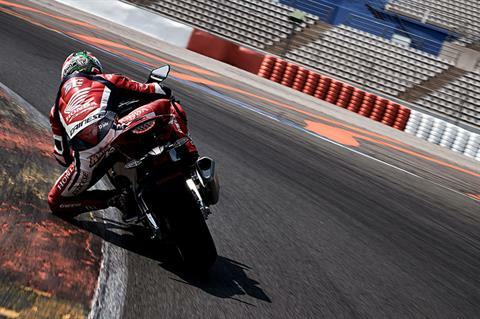 Superbikes are special machines, offering levels of power, handling, and refinement no other streetbikes can match. 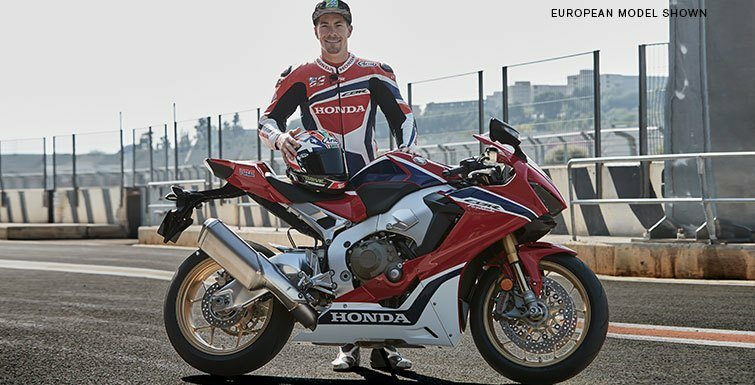 And for 2017, there are two new Superbikes that are even more of a standout: The all-new Honda CBR1000RR SP and CBR1000RR SP2. The CBR1000RR SP has been completely redesigned and given some serious performance upgrades. This limited-edition machine is fully street legal, but it’s really at home on a track day. 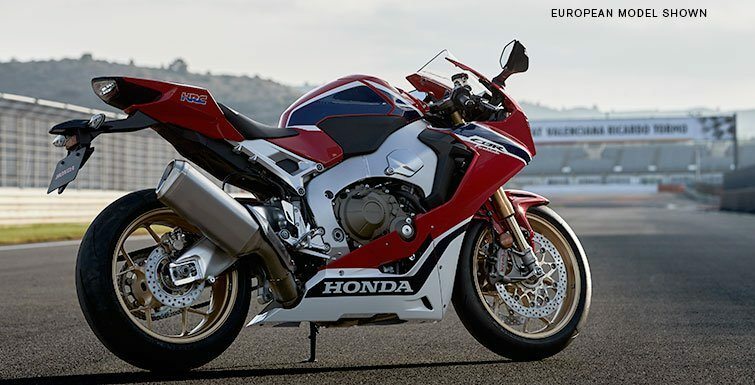 Compact, slim, and light, it’s also the first CBR we’ve offered with throttle-by-wire technology, and that makes a whole realm of engine performance choices available. 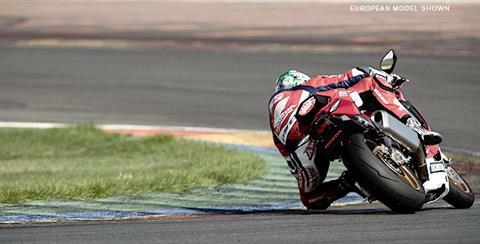 Before you even start it up, you’ll notice how light and narrow the new CBR1000RR SP is. It’s more aerodynamic, too. The engine is all new, with a 13:1 compression ratio, new pistons and new cams. A titanium cam cover, ignition cover and sump make it super light. The SP’s titanium muffler shaves pounds. 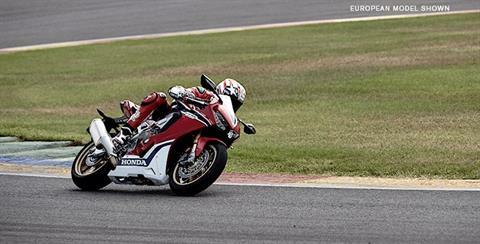 Power is up from last year’s CBR1000RR SP as well—by a lot. More weight savings come from a lighter frame and seat subframe, and a thin-wall titanium fuel tank. 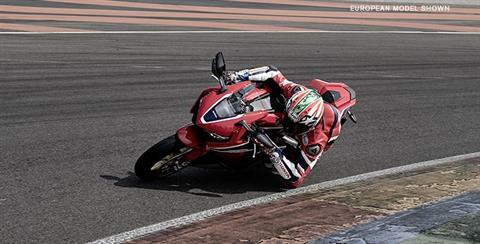 Suspension on the SP is a track-ready Ohlins system front and rear. But the best news yet may be the SP’s Honda Selectable Torque Control. With three pre-programmed modes and two more that are fully customizable, you can fine-tune your bike’s power delivery with the push of a button. In addition to the stunning SP, Honda is offering an even more exotic CBR1000RR SP2 in extremely limited numbers for the most serious enthusiasts and professional racers. This street legal motorcycle is being produced in small quantities sufficient for racing homologation, and it will be the basis for competition in World Superbike, AMA MotoAmerica and other global racing series. The SP2 has all of the advanced features of the SP, plus forged Marchesini wheels and a unique cylinder head with larger intake and exhaust valves. 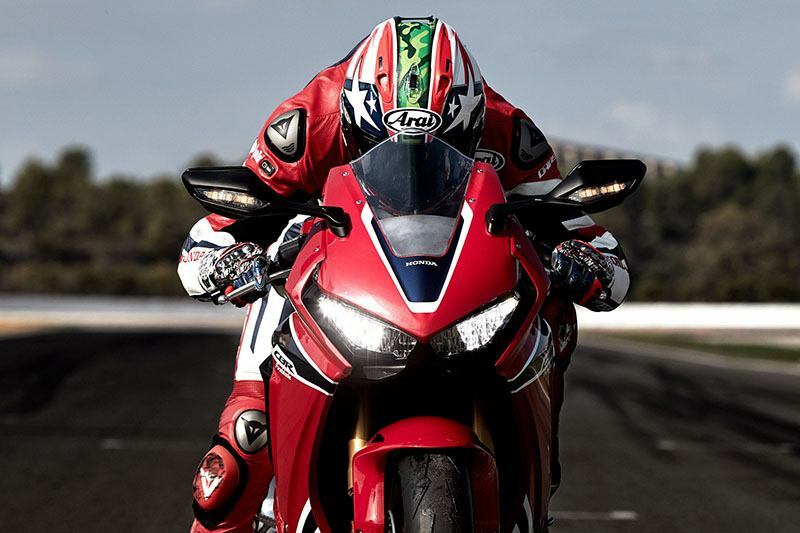 The CBR1000RR SP2 is the pinnacle of Honda superbike technology, whether in your garage or on the grid! So zip up your leathers. Buckle up your helmet. 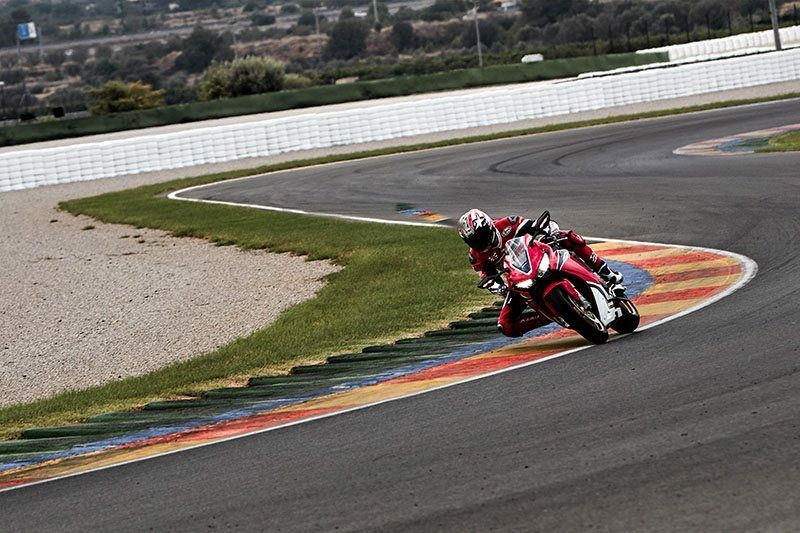 And get ready to experience two of the best Honda Superbikes ever. PREMIUM WHEELS: You’ll notice that the new CBR1000RR SP features new five-spoke wheels. They’re light and strong—more than a pound lighter than the previous six-spoke wheels. 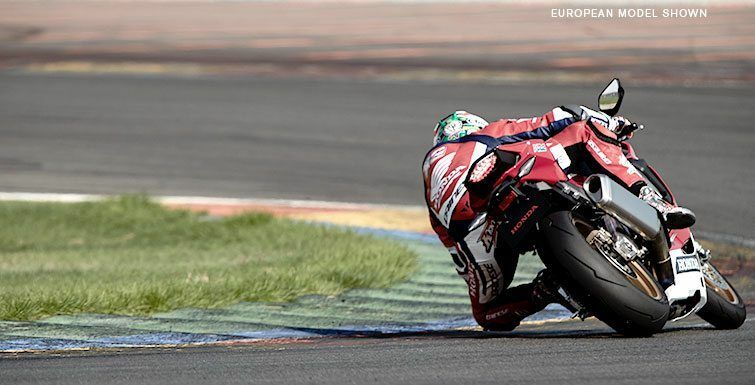 The SP2 offers an even more impressive upgrade: lightweight, premium Marchesini wheels. 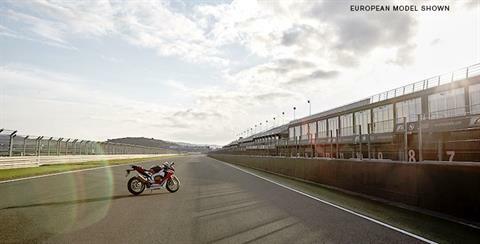 TITANIUM MUFFLER: MotoGP bikes use titanium for their mufflers, and so do the new CBR1000RR SP and SP2. It’s a significant weight savings. LITHIUM ION BATTERY: Light and compact, the new CBR1000RR SP and SP2 come standard with a high-tech lithium-ion battery. 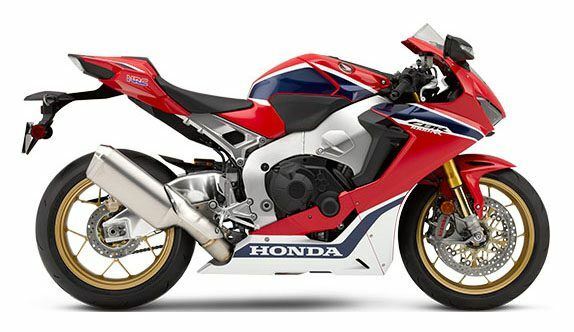 LIGHTWEIGHT SUB-FRAME: Almost a full pound lighter than our previous models, the new CBR1000RR sub-frame further refines our mass centralization efforts. 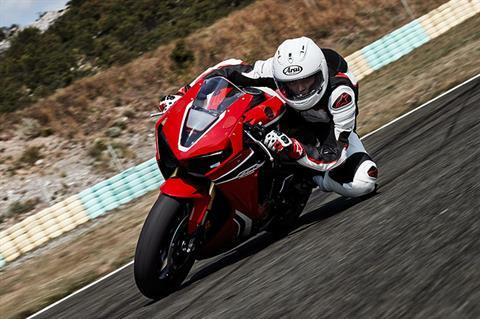 Light is always right, and the new CBR1000RRs offer Superbike performance in a package that weighs no more than a typical 600 Supersport. CENTRALLY LOCATED FUEL TANK: The CBR1000RR SP and SP2 feature a radical, new thin-wall titanium fuel tank. Filled to capacity, the tank is almost four and a half pounds lighter, but still offers plenty of operational range. SLIMMER ERGONOMICS: The new CBR1000RRs are much slimmer in the tank/seat junction area, and also in the upper cowl (more than 12 mm trimmer per side). This improves aerodynamics, and the narrow tank makes it easier to tuck in. IMPROVED TWIN-SPAR ALUMINUM CHASSIS: By thinning the sidewalls in the frame’s twin spars, we’ve fine-tuned the chassis responsiveness, especially at aggressive angles. At the same time, we made the swingarm ten percent more torsionally rigid. NEW THIN FILM TRANSFER DISPLAY: TFT means an instrument display that’s lighter and easier to read than previous LCD designs. 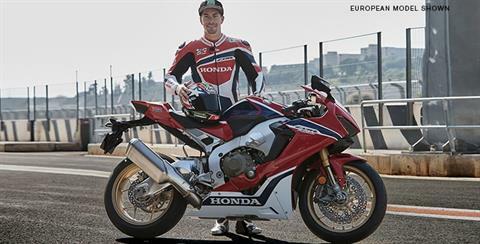 It’s a first for Honda, and it’s making its premier on the new 2017 CBR1000RR’s. FULL LED LIGHTING PACKAGE: Headlights, tail lights, turn signals—the CBR1000RR SP’s have a full street-legal lighting package, and it’s all done with lightweight, efficient, cool LEDs. 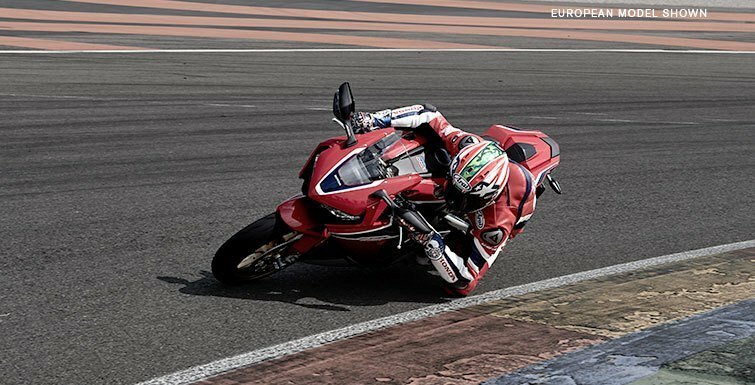 NEW ÖHLINS SMART EC SUSPENSION: The CBR1000RR SP and SP2 feature a new Öhlins Smart EC suspension system. It’s fully adjustable, semi-active, truly premium and track-ready — a huge upgrade from what you’d normally find on a streetbike. IMPROVED RADIATOR DESIGN: Almost an inch narrower and 100 grams lighter than last year’s model, the new radiator tucks in tighter and cools just as efficiently. 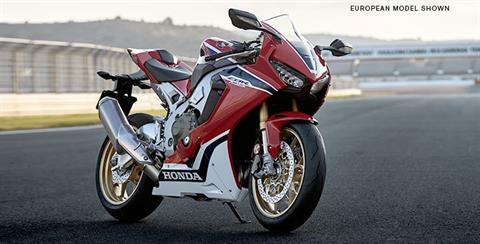 NEW GYRO-ASSISTED ABS: Every new CBR1000RR SP and SP2 comes standard with anti-lock brakes. But these brakes go one better, including rear-wheel lift control (think hard stopping here), along with a special cornering program that takes lean angle into account. 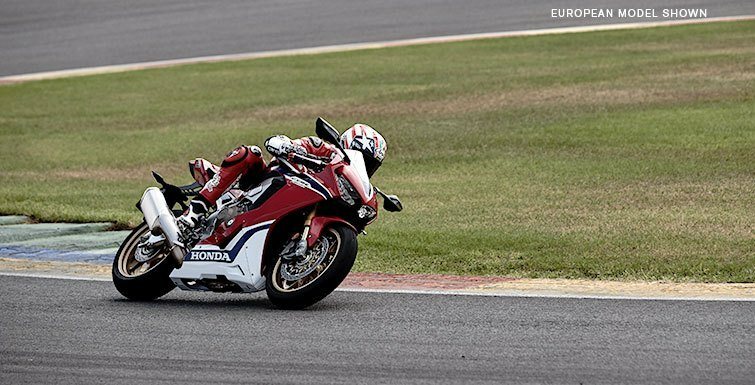 THROTTLE-BY-WIRE: The CBR1000RR's new throttle-by-wire system works in concert with our Honda Selectable Torque Control. With the two, you get your choice of three engine power-delivery modes, plus two which you can custom program yourself. Track day? Casual street ride? Rain in the forecast? 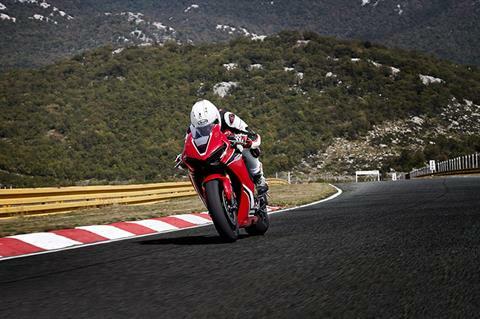 With the push of a button, you can select the appropriate torque and power delivery to the rear wheel.